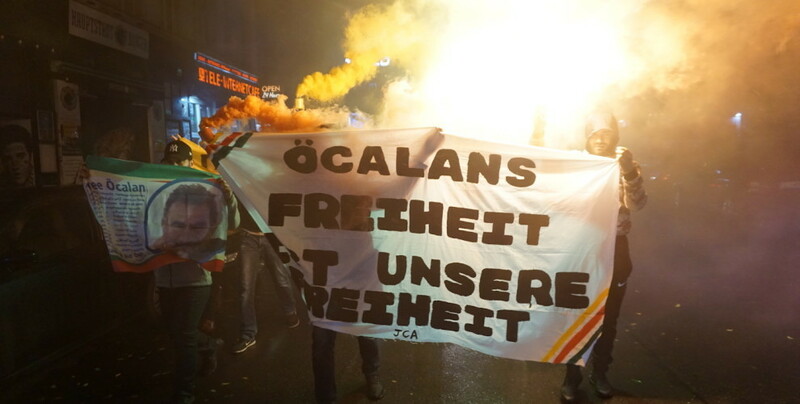 Kurdish youth organized a demonstration in German capital city Berlin to protest against the isolation imposed on Kurdish People’s Leader Abdullah Öcalan by the Turkish state. The demonstration at Tottbusser Tor in central Kreuzberg was organized by Tevgera Ciwanên Şoreşger (Revolutionary Youth Movement). Chanting slogans in favor of Öcalan and the PKK (Kurdistan Workers’ Party), demonstrators said they will never accept the isolation of Öcalan and will continue their protests to demand his freedom.